The University of Toledo will bring engineering to life for elementary and high school students in celebration of Engineers Week. 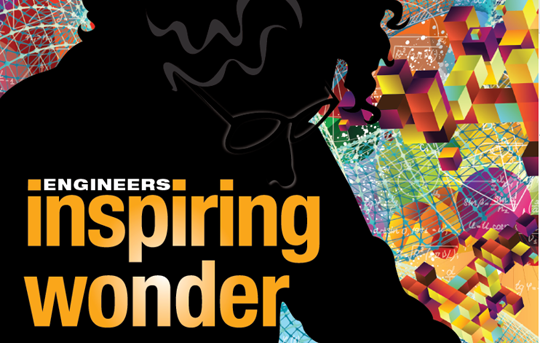 Discover Engineering is a free, public event geared toward elementary school students and their families; it will take place Sunday, Feb. 18, from 2 to 4 p.m. in the Lois and Norman Nitschke Auditorium. It includes a showing of the movie “Dream Big,” followed by hands-on activities organized by College of Engineering students. The College of Engineering also will host its first Introduce a Girl to Engineering Day for students in fifth through eighth grades. Starting at 10 a.m. Thursday, Feb. 22, girls from the Toledo area will tour UT’s engineering facilities and have lunch with College of Engineering students and professional engineers before spending the afternoon doing hands-on activities. Area high school students will get the opportunity to be an Engineer for a Day Tuesday, Feb. 20, at 9 a.m. on when they tour UT’s engineering facilities and have lunch with College of Engineering students and professional engineers before spending the afternoon shadowing a practicing engineering professional in the community. This entry was posted on Thursday, February 15th, 2018 at 3:25 am and is filed under Engineering, Events, News, UToday .